Produktinformationen "9 - Faithful Daughter Shim Ch'ong/The Little Frog Who Never List"
Shim Ch'ong, out of her love for her blind father, works endlessly to buy the medicine that could make him see again. She finally meets the Dragon King who helps her. A little frog, who never listens to his mother, regrets it after she dies. The story explains the reason why frogs croak at the riverside. 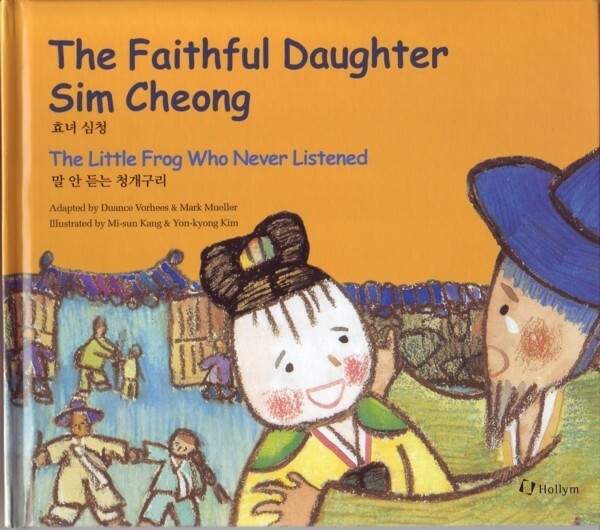 Weiterführende Links zu "9 - Faithful Daughter Shim Ch'ong/The Little Frog Who Never List"
Unser Kommentar zu "9 - Faithful Daughter Shim Ch'ong/The Little Frog Who Never List"
Kundenbewertungen für "9 - Faithful Daughter Shim Ch'ong/The Little Frog Who Never List"